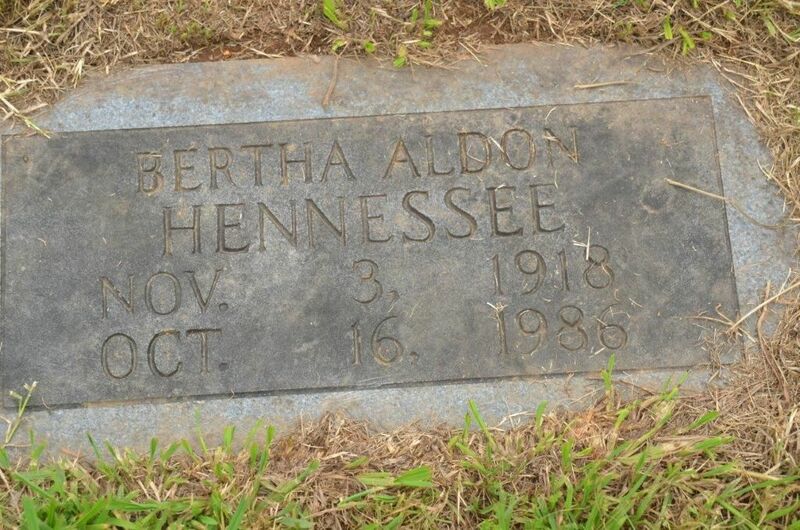 [S10974] "Bertha Aldon Hennessee", Tombstone Profile,. [S13574] Bertha Hemessy, United States Census, 1930, "United States Census, 1930," database with images, FamilySearch (https://fa. [S13575] "Burt Hennessee", 1940 Davidson County, Tennessee Census Record, https://familysearch.org/pal:/MM9.1.1/K442-LFP, revisit. [S46487] "United States Census, 1920," index and images, FamilySearch (https://familysearch.org/pal:/MM9.1.1/MNGR-F2M : accessed. [S46486] "United States Census, 1940," index and images, FamilySearch (https://familysearch.org/pal:/MM9.1.1/K442-LFP : accessed. [S10975] David A. Hennessee, HENNESSEE Researcher & Compiler, 626 Biscayne Drive,West Palm Beach,FL 33401, 561.832.6612, info@c.
[S6658] "Warren County,TN Marriages: 1900-1950", transcribed & compiled by A.C.Hillis, p. 28 (Reliability: 3). [S13970] Jessie Hennesse United States Census, 1910, "United States Census, 1910," index and images, FamilySearch (https://family. [S13967] Jesse D Hennessee United States Census, 1920, Citing this Record "United States Census, 1920," database with images, Fam. [S13968] Jesse D Hemessy, United States Census, 1930, Citing this Record "United States Census, 1930," database with images, Fami. [S13969] Jesse Henessee United States Census, 1940, "United States Census, 1940," database with images, FamilySearch (https://fam.